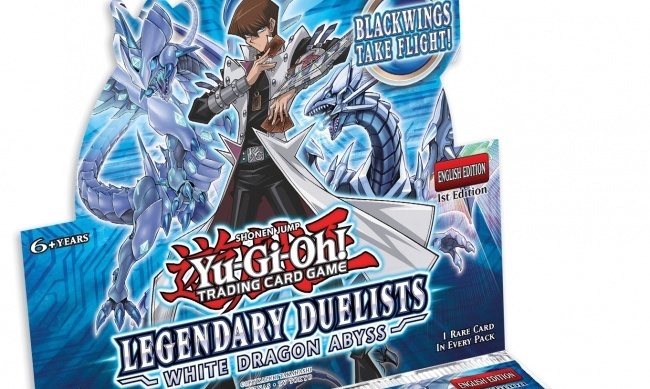 Konami has announced plans to release the new Legendary Duelists: White Dragon Abyss set on Friday, September 28. Like earlier sets in the series (see "‘Legendary Duelists Join ‘Yu-Gi-Oh!’"), White Dragon Abyss focuses on the cards used by characters from the animated series. 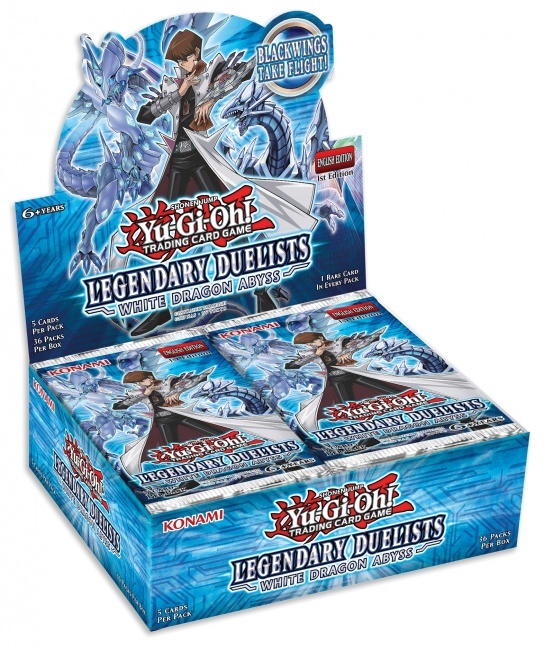 In this case, it is Seto Kaiba and Zane Truesdale who get attention, with cards that are designed to power up Blue-Eyes White Dragon decks and decks that use Ritual Summoning. These cards are also intended to build on the upcoming Cybernetic Horizon set (see "‘Yu-Gi-Oh! TCG Cybernetic Horizon Special Edition’ Variant Reprints Revealed"). New cards for Crow’s Blackwings, including a new Blackwing Synchro Monster called Blackwing Armor Master and new Photon and Galaxy monsters round out the set. The complete White Dragon Abyss set will have a total of 55 new cards. Rarities and MSRP have not been announced. The week before White Dragon Abyss releases, Konami will be hosting its 200th Yu-Gi-Oh! Championship Series event (see "Three City Blitz for 200th ‘YCS’").